I have this habit going on every 2 years I go some outrageous distance to meet someone famous. 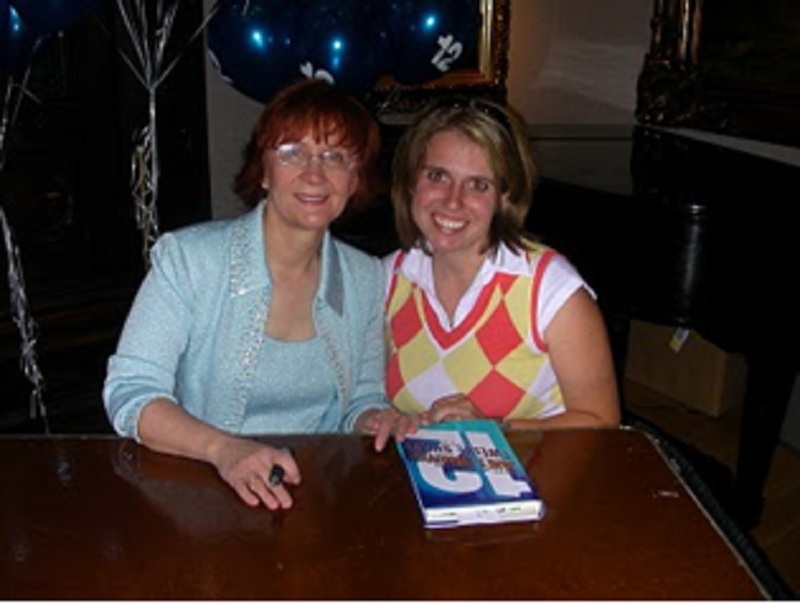 My first trip was with my mom in June of 2006 to Des Moines, IA to meet Janet Evanovich. That summer she released the 12th book in the Stephanie Plum series called: Twelve Sharp. She had a talk and Q&A session to go along with her book signing. We got wrist bands when we entered and that was our number series to meet her. Luckily the ladies next to me had way higher numbers than mom and I did and they didn’t want to meet her so they gave me their wrist band. I wasn’t there until after midnight because of those nice ladies!!! The next trip was to Chicago, IL, again with my mom although it was supposed to be with my Aunt. 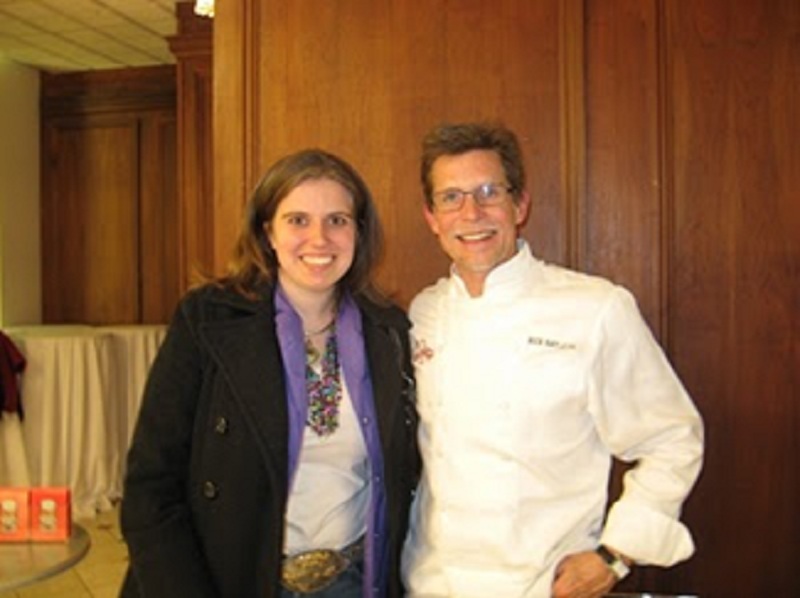 For Christmas that 2007 my big present from my aunt & uncle was a trip to Chicago to go to a cooking session with Rick Bayless, owner and chef of 2 restaurants: Frontera Grill & Topolobampo. I had a trip for 2. I had asked my aunt to go with me but my grandpa was still alive at that time and had gotten sick and she couldn’t leave him so my mom went with me. Today, I did it again. 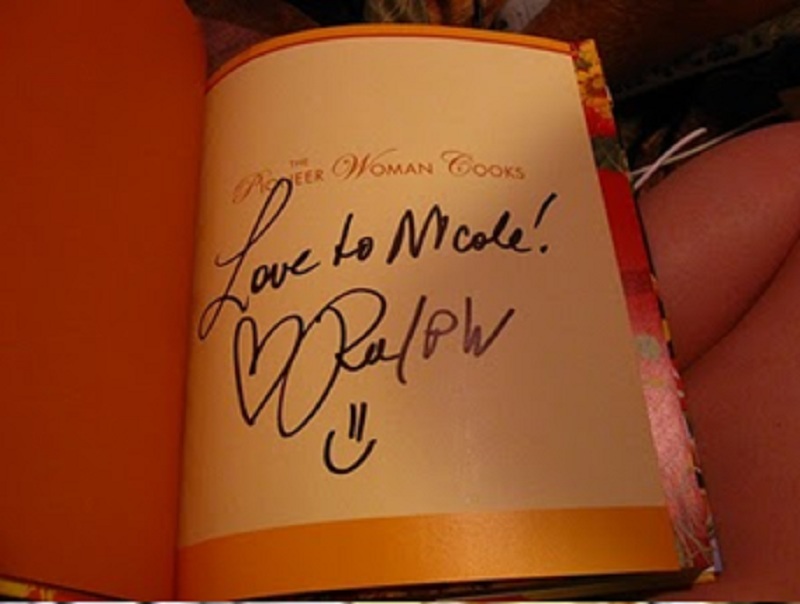 Only this time I headed to Stillwater, OK, to meet the Pioneer Woman, Ree Drummond and get my cookbook signed. At home we woke up to rain. Once we got down around the toll road pay booth on the Will Rogers turnpike headed to Tulsa the rain let up. 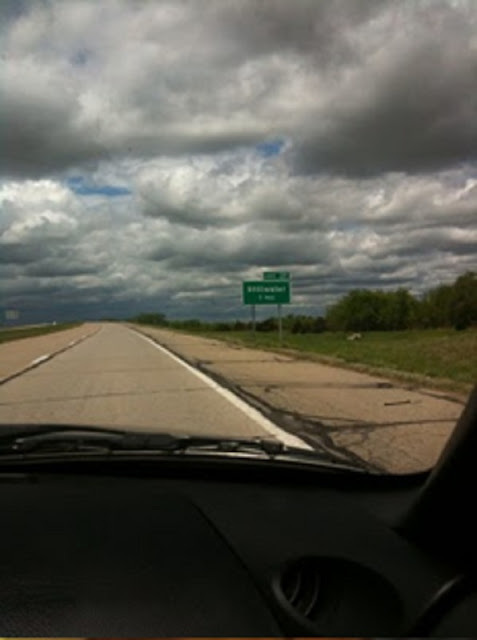 Once we got down around Stillwater we were in and out of sunny skies and rain clouds. 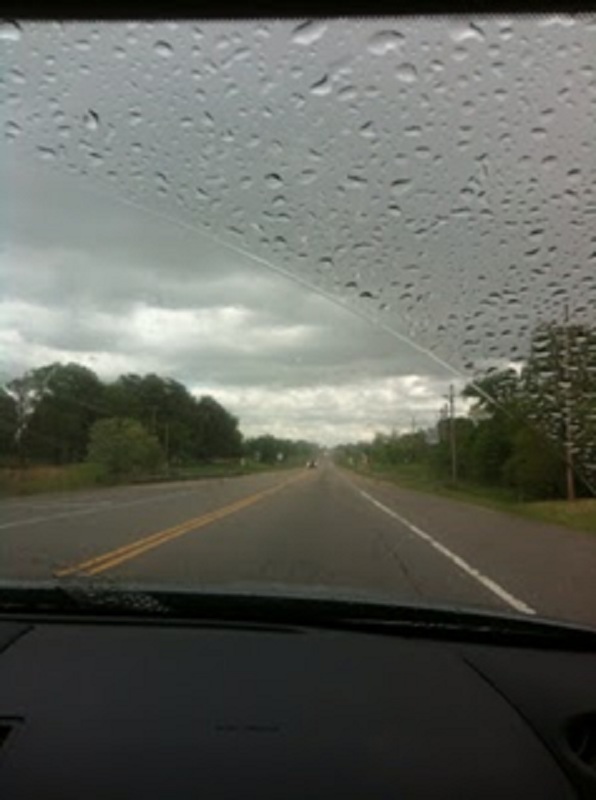 Once we entered into Stillwater it started raining on us again. Hey it didn’t matter, I was going to meet the Pioneer Woman today!!!! We pulled into Stillwater around 1:30. 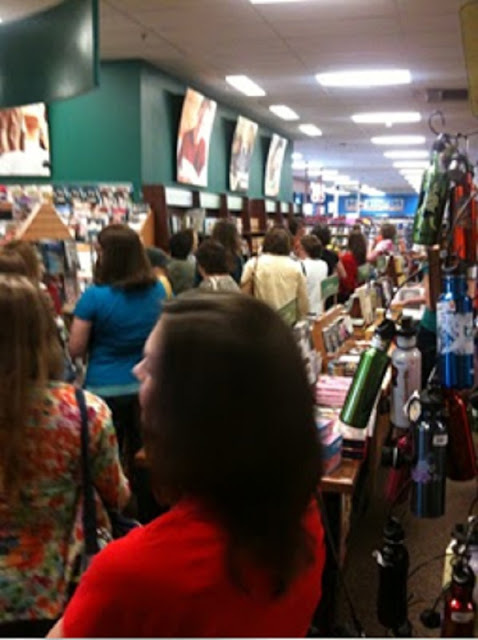 The signing started at 3:30 but I figured it would be pretty hectic there and I didn’t want to have to stand and wait all night so we pretty much got there and went and got in line. We waited about 2 hrs and 15 minutes before it was actually my turn. Here we are rounding the corner. I see the end in sight!!! She’s just as funny in person as she is on her website! I doubt it is an act. While I was still standing in line waiting I got in front of her table (on the other side of the ropes) and she actually got on someone’s cell phone and talked to their friend. It was funny, she asked them what they were wearing… LOL. Dang I have this dumb double chin thing going on… I so need to lose weight. But Ree, the Pioneer Woman, man is she ever pretty! Her picture on her cookbook doesn’t do her justice and she’s pretty there!!!! Woohoooo I got my cookbook signed. On her website she has an address you can send it to and she’ll sign it and then send it back to you, however, when I found out she was going to be in Stillwater which is only about 3 hrs away, I so wanted to go. Prince Charming told me I was going even if he had to drive me there himself (which he wouldn’t have minded). On our way home it was partly cloudy in Stillwater. 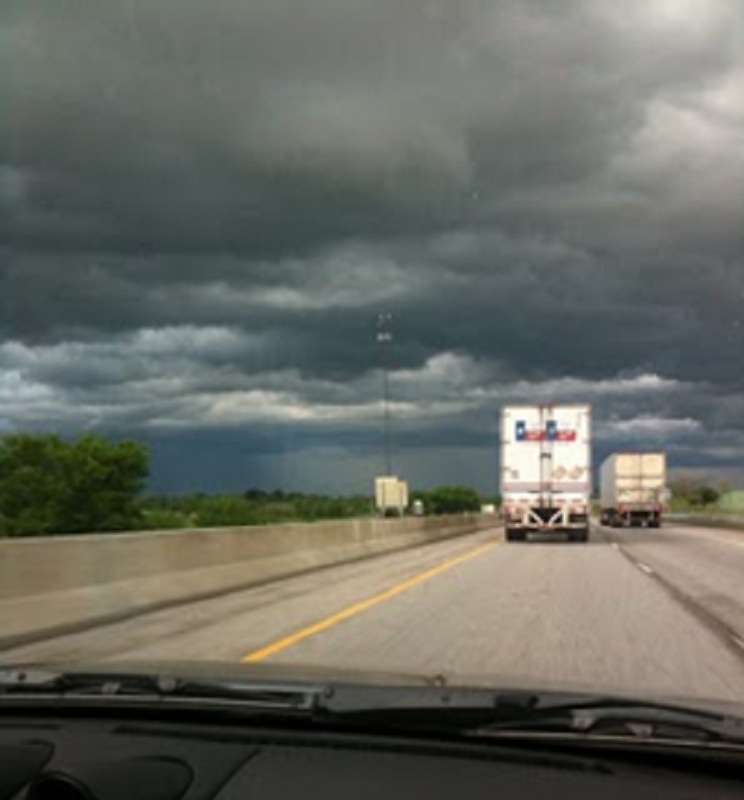 The sun was shining in Tulsa and once we got closer to home, this is what we drove into. Nothing severe, just rain showers. 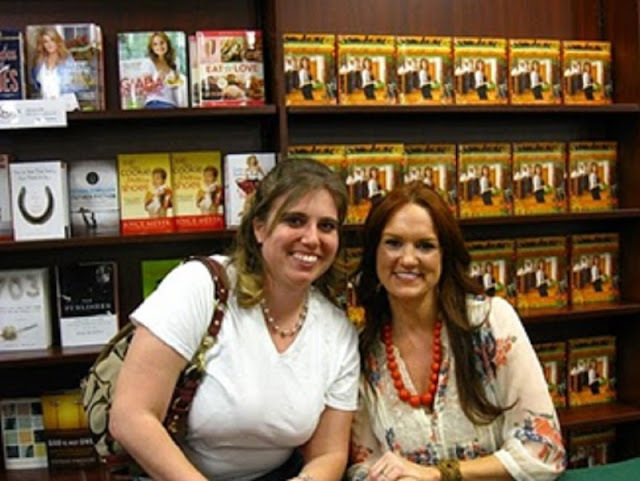 Woohooo I got to meet the Pioneer Woman. Man do I wish I was as cool as her. Maybe someday!